Female Rocker Maya Steals Spotlight. May. 25, 2003 21:49. by Yub	Huh heo@donga.com. Newcomer female rocker Maya (Kim Young-chae) is emerging fast as a leading rock musician. Her debut album released only two months ago has so far sold almost 100,000 copies, a figure seen as a feat for any new face. She has been performing almost everyday since the beginning of this month, with colleges nationwide holding spring festivals. She has been in about 20 colleges in Seoul and other areas, and this weekend she was busy visiting four college campuses. Her voice even grows hoarse due to the tight schedule. The first hit title in the debut album is `the Azalea`, a song based on the poem by great poet Kim So-wal. The song makes a unique contrast by combining the subdued Korean spirit of sorrow with the hard rock sound. In the latter part of the song, she sings in strong voice as if she was venting out the emotion of sorrow at once. 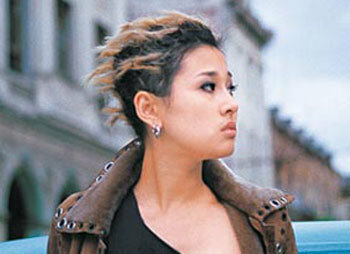 Maya plays a variety of rock music in titles such as `Go Away`, `Pandora`s Box`, `Sound of Illusion` and `the Wind`. She introduces a typical rock ballad with the title song `Good Day and Good Bye`, and plays a soft and light-sound vocal with `Go Away`. 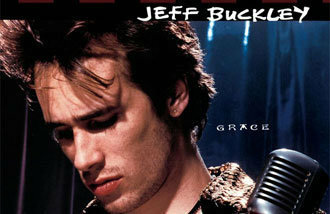 She sounds like a tomboy in `Pandora`s Box and delivers old folk music-like sound in `the Wind`. She is now earning recognition for her impressive vocal and ability to interpret songs. It was four years ago when she was at Seoul Arts College that a product company noticed her talent and began to train her. She has appeared in live music concerts of leading rockers like Lee Dong-uk, JK and Lee Hyun-woo. The saying `Long practice leads to a success for long time` is no exception in the music industry, the young rocker said. The music industry is all eyes and ears on the newcomer hoping that her popularity will lead to revival or female rockers. Her popularity is highly likely to send ripple effects to the industry given the fact that the show business begins to put more weight on live performances. She will hold her first concert at Seoul Live Theater from June 12 through 15. We are preparing characteristic events that hardly become a rock concert, she hinted at the upcoming concert.